Great meals are only complete with striking tableware. 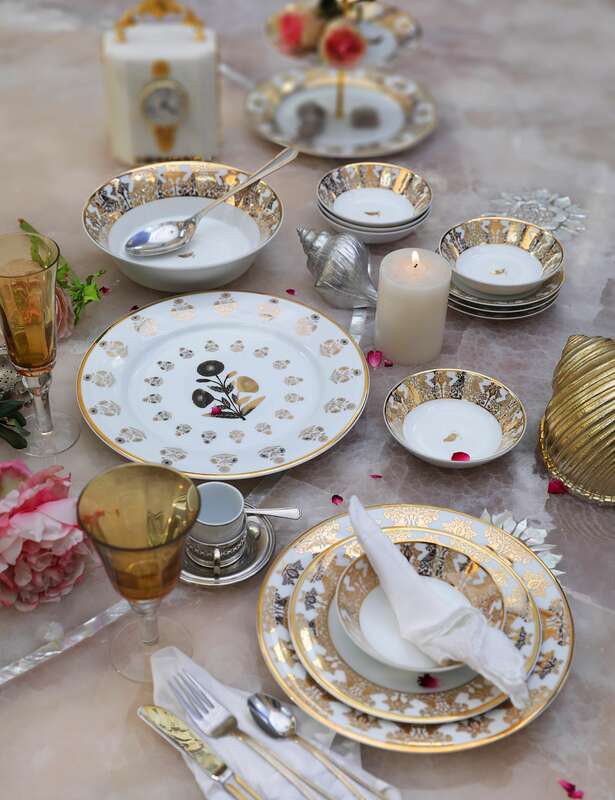 Whether you enjoy a leisurely breakfast, entertain boisterous groups of friends or sit down to a relaxing dinner with your family every day, Raseel Gujral Ansal believes each meal can be enjoyed with good tableware that should never be stashed in the cabinet. The newly launched tableware collection demonstrates her practical, no-nonsense approach to table elegance. 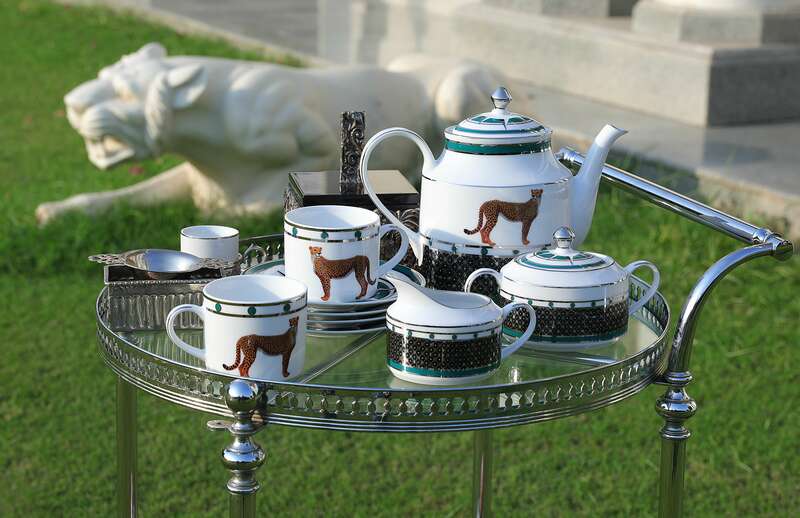 Crafted using her own designs on porcelain, with intricate use of strong colors & gold accents, the line is divided into 3 collections – Safari, Labyrinth and Opium. The eccentric designs are guaranteed to appeal to the taste of everyone who loves creativity and originality. With their opulent patterns and striking colors, these are objects that are destined to awaken real desire. 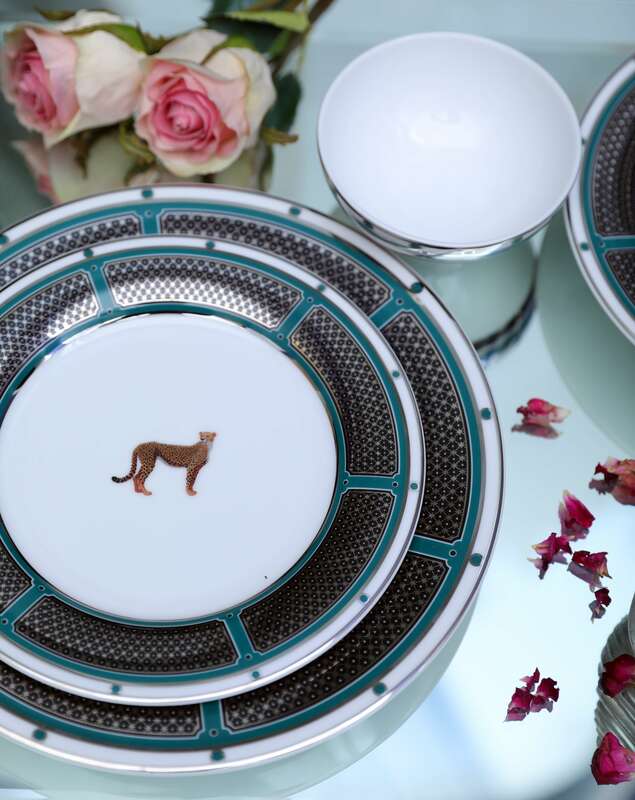 Highlighting the essence of the brand’s signature, each collection, which includes dinner sets, mugs, tea cups and saucers, has a story to tell. Those who uphold extravagant traditions like to take the reins and eat from golden spoons. Strong colors meet idiosyncratic creations replete with detail that transform the home into a splendid palace. The cosmopolitan and kitschy pret diffusion line by Raseel Gujral Ansal, Casa-Pop is targeted towards the young urban diva and lays emphasis on ‘High Voltage Living’ with a design language that is born in India, made in India, for the world. The mood of the brand is young and buoyant which is reﬂected in products across various categories such as wallpapers, fabrics, tableware and incidental furniture apart from the usual offering in accessories. This one-of-a-kind retail concept presents a range of limited edition pieces that ferment the brand’s legacy whilst ensuring it appeals to the trendy and vibrant urban consumer. Casa-Pop has been a part of key international trade fairs like – Maison et Objet and stood out from the clutter.